Impress your date with a night at the state’s only AAA Four Diamond property: Ambassador Hotel Autograph Collection. Step outside into downtown Wichita and you’ll have easy access to dining and entertainment, or even more options with a ride aboard the free Q-Line Trolley. You just might opt to stay in, though. The hotel’s Siena Tuscan Steakhouse offers an upscale Italian dining experience, and Dockum is a subterranean, speakeasy-style bar with excellent handcrafted cocktails. Check out several of Wichita’s craft breweries in a fun, safe outing aboard Brew Wagon Tours, Wichita’s only local brew bus tour. They’ll drive, so you both can imbibe while getting a behind-the-scenes look at craft beer. You’ll finish with time to enjoy dinner, so ask for pick up and drop off in Old Town. 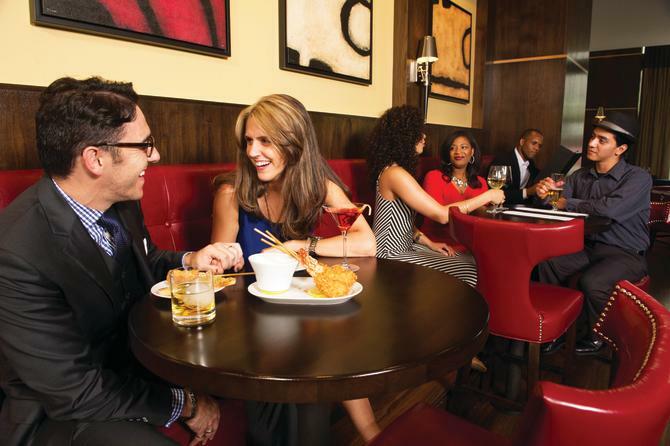 Enjoy upscale cuisine in a casual setting at Larkspur Bistro & Bar. Stay for live music on the patio, walk around Old Town for other live music options or head to a comedy show at The Loony Bin. View the lake at  Bradley Fair while being pampered at Healing Waters. Then take a walk along the outdoor shops and restaurants. During summer months, enjoy the Summer Jazz series at Bradley Fair. Or during the holidays, get swept away on a horse-drawn carriage ride. Wine and dine at Newport Grill, serving contemporary American, or YaYa’s Eurobistro, serving classic, comfortable food – both in elegant settings. End the evening with a wine and chocolate pairing in the lounge at Cocoa Dolce Artisan Chocolates. 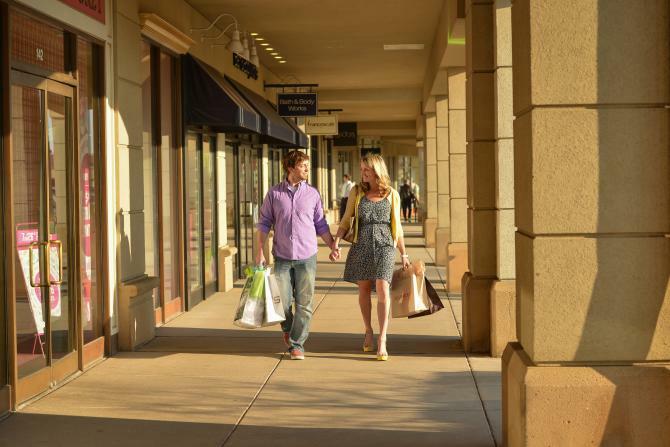 Take your date and experience the Fountains at WaterWalk during warmer months. 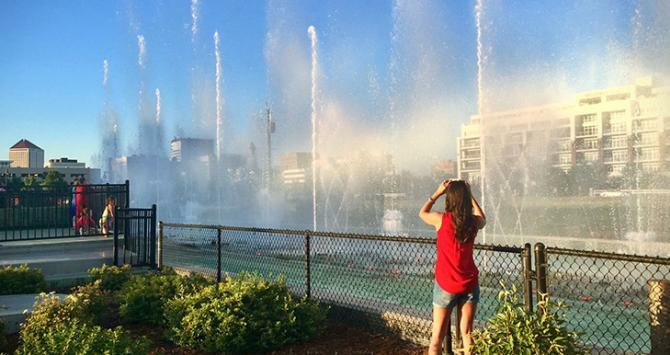 These fountains are gleaming with radiant colors and timed to music for a great water show. Walk together across the magnificent suspension bridge over the Arkansas River and experience the nightly lighting of the Keeper of the Plains (7 p.m. or 9 p.m. depending on time of year). Depending on your budget, this night can be super affordable or you can splurge on the meal since the two activities are free. Delano Barbecue Co. offers huge portions at reasonable prices and is in nearby Historic Delano District. Or, begin the night out west with an upscale, romantic experience at 6S Steakhouse, which has a modern, supper club vibe with private booths. Rent the modern yet rustic cabin at Prairie Hill Vineyard, just 8 miles west of Wichita. It’s perfect for a romantic night: views of vines and gardens in the original vineyard, a cozy fireplace and other thoughtful touches. If you’re visiting in season, ask about grape picking experiences. 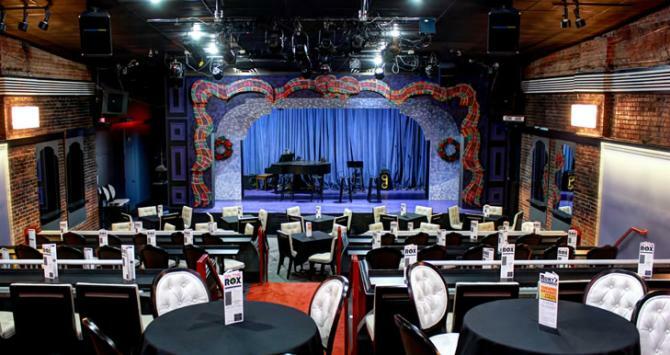 Check the calendar of events for a riveting performance at one of Wichita’s popular venues like Roxy&apos;s Downtown, Mosley Street Melodrama or the Orpheum Theatre. Start the evening by exploring the world of scratch cocktails with a visit to Frèdö&apos;s, offering signature cocktails and tapas, or Vorshay’s Cocktail Lounge, serving handcrafted cocktails and prosecco on tap in historic theater space. Slow down and enjoy a multi-course meal with your beloved. 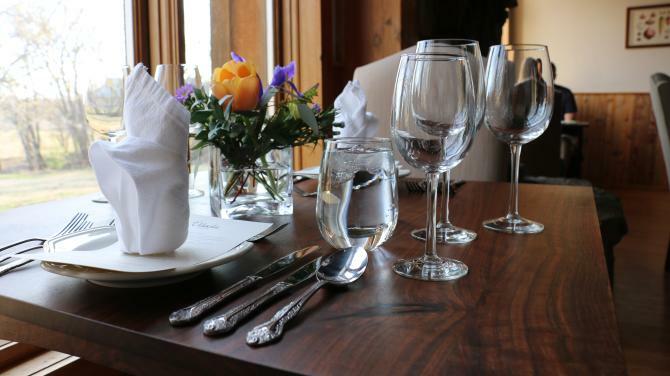 Elderslie Farm serves locally-sourced, five-course, farm-to-table dinners April through December. 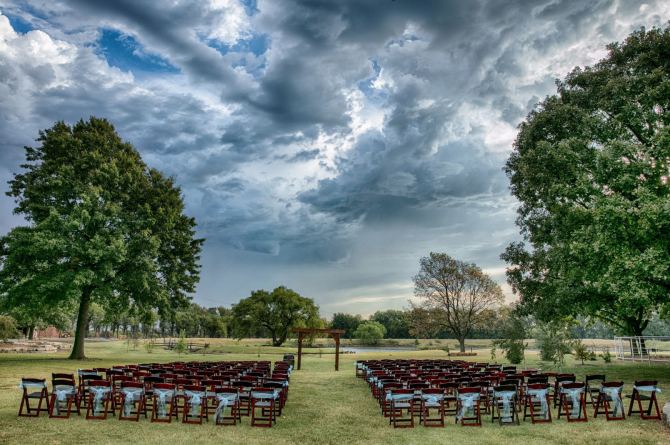 It’s an elegant country setting just 20 minutes north of Wichita. The menu changes monthly and is carefully planned to showcase the produce of the season. The entire evening provides guests a lovely walk through each season’s bounty. 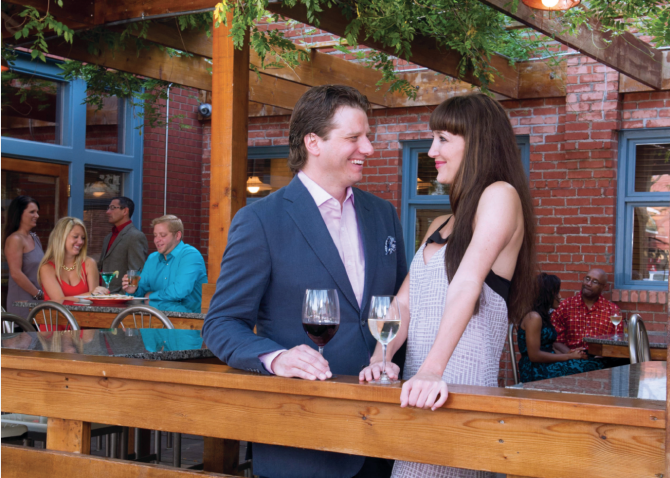 For other ideas for what to do for date night in Wichita, check out our nightlife section as you plan your trip!